One of the best peppers in the world from Kampot in Cambodia. Certified by Ecocert. The farmers get a fair wage. 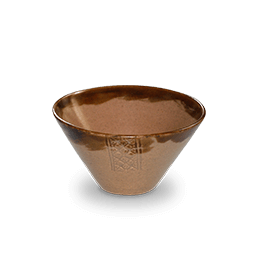 The profit goes to charity and is invested in sanitation and education projects in Cambodia. Naturally grown without pesticides and chemical fertilisers. 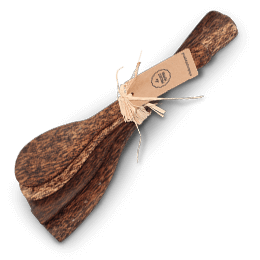 Packaging from natural materials and renewable resources. 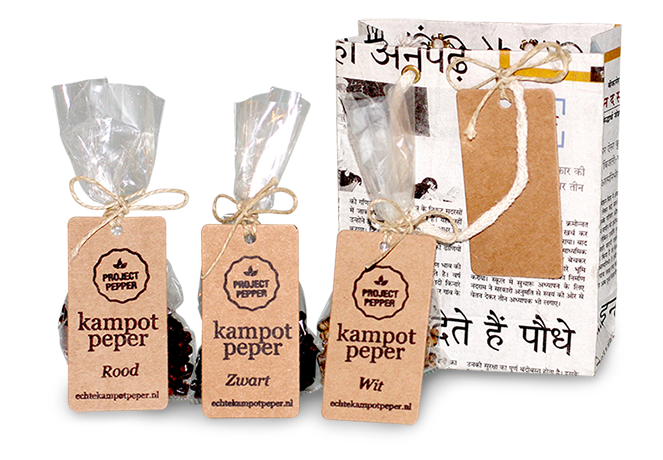 Kampot pepper is available in three different types. They all come from the same pepper plant, yet each has its own special flavor. 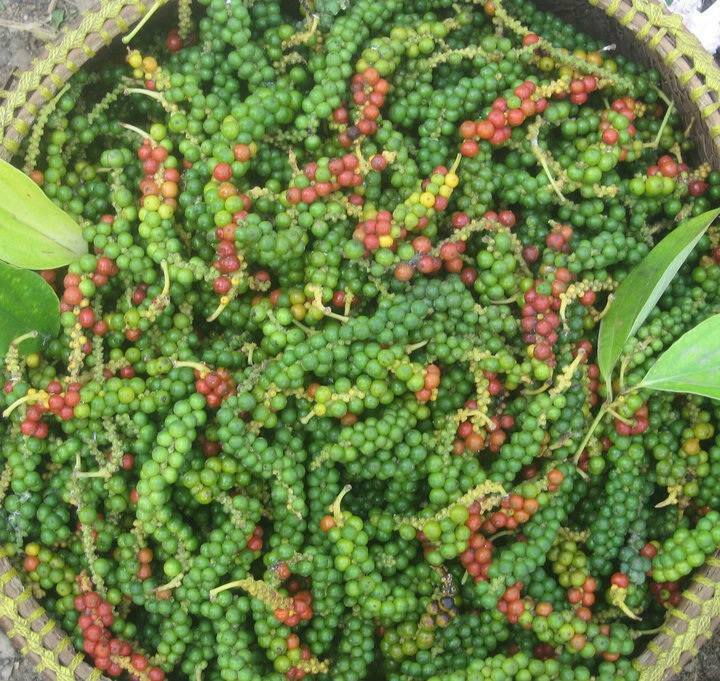 Black Kampot pepper starts with the green, unripe pepper berry. These are harvested and placed on bamboo mats to dry in the sun. After a couple of days the green berries have turned black. This pepper has an intense flavour. Most black peppers you can buy in the supermarket are spicy but lack any additional flavours. 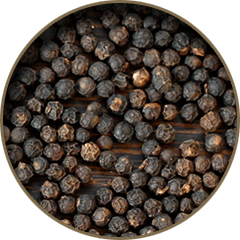 The flavour of black Kampot pepper on the other hand is much more sophisticated. 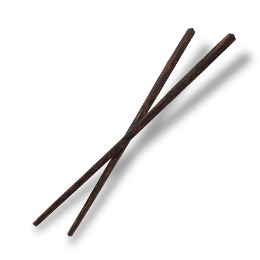 It is spicy but also has notes of eucalyptus, mint and flowers. 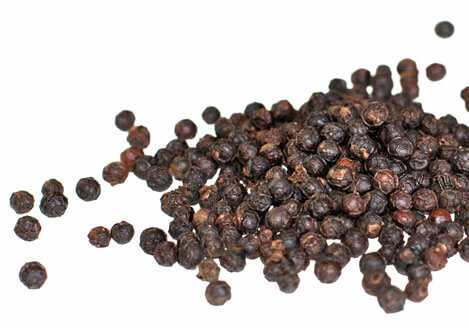 Black Kampot pepper is very versatile and can be used in almost any dish. Red Kampot pepper starts with the ripe pepper berry. 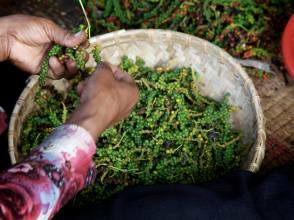 The berries are picked by hand when they are intensely red in colour and then dried on bamboo mats. This pepper is very special. The berries have to be harvested at exactly the right moment or they become too ripe. Because harvesting red pepper berries is more difficult and more time consuming it is only produced in relatively small quantities. It's a true delicacy. The taste of red Kampot pepper is a little bit sweet with a fruity flavour. This pepper is less spicy than the black and white Kampot pepper. 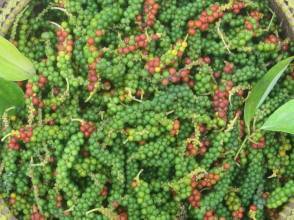 Red Kampot pepper tastes very good in salads, with white meat, seafood and even with pasta. 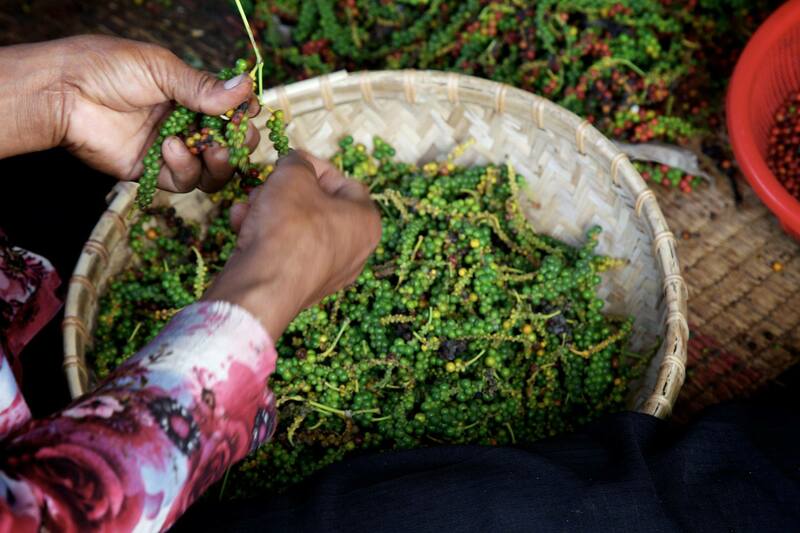 Just like the red Kampot pepper, white Kampot pepper starts with the ripe pepper berry. It is very rare. After harvesting the berries are soaked in hot water so the outer skin comes off. This process is completely natural, without the use of chemicals. 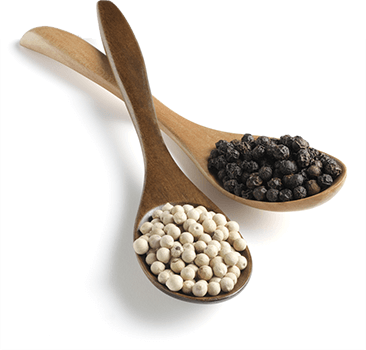 The white inside of the pepper berry is sun dried. The white Kampot pepper is more spicy than the red one. The flavour is fresh with notes of citrus. White Kampot pepper tastes very good with fish and cream sauce. 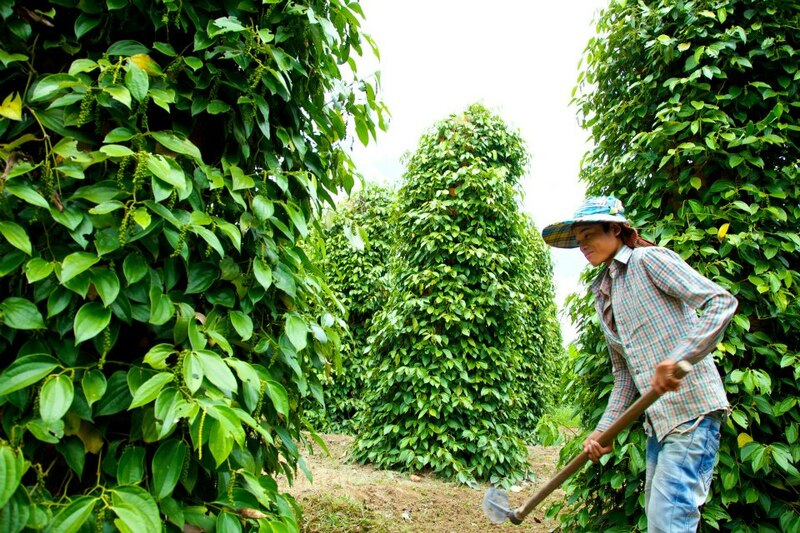 Kampot pepper was the first product in Cambodia to receive a Geographical Indication (GI) in 2010. 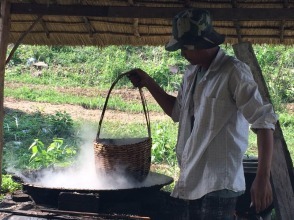 It has a special taste that is typical for the Kampot region. This is due to the climate and unique characteristics of the soil. 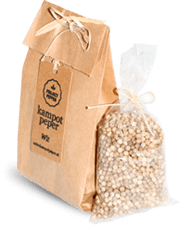 We could say that Kampot pepper is the champagne or Parmigiano-Reggiano of Cambodia. 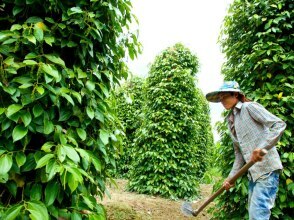 We think it is very important that the farmers that produce this beautiful pepper receive a fair wage for their labour. 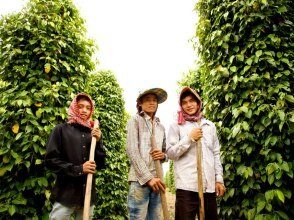 That's why we import the pepper directly from a family farm in Kampot and pay an honest price for their produce. The farmer does not use any pesticides or chemical fertilisers, which makes their work a lot safer. A beautiful pure pepper like this deserves a sustainable packaging. 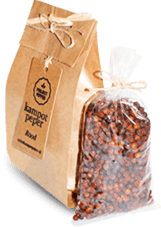 Project Pepper does not use any plastic in their packaging but instead uses bioplastic (derived from plants) and unbleached kraft paper. The ink we use is water based, without chemical solvents. This BPA-free packaging is easy to recycle due to the design. 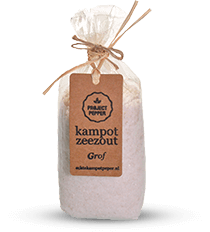 Kampot sea salt is produced in a traditional way in the salt fields of Kampot province. The salt is harvested by hand and the farmers receive a fair wage for their labour. Sea water is led through different salt pans in order to purify it in a natural way. 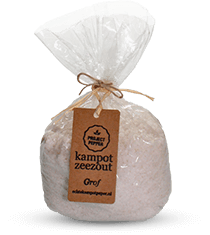 Once the water reached the last basin it is let to evaporate and what is left is beautiful high quality sea salt. This salt is not washed after harvesting and is unrefined. This is why Kampot sea salt is delicate in flavour and all the natural minerals are preserved. 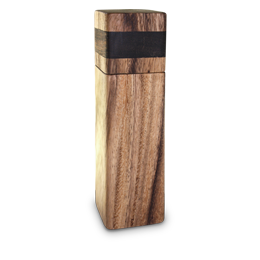 Beautiful pepper grinders, exclusively made for Project Pepper. These grinders are made in Cambodia in a workshop where people that are disabled, for example due to polio or landmines, receive free training and are employed. They share the profit of the workshop. 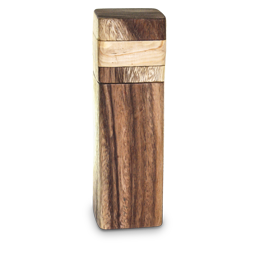 The base of the grinder is made of Changkiri wood and the inlay consists of Cambodian Chhlick wood (dark) and Asian pine tree wood (light). Whenever possible they use reclaimed wood, for example from old houses. The grinders can be used to grind pepper as well as salt. 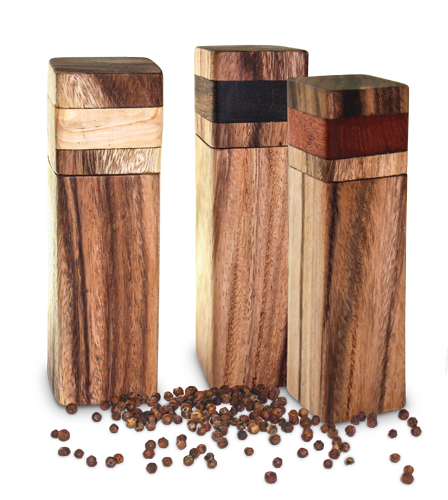 These pepper grinders are made from a natural material. 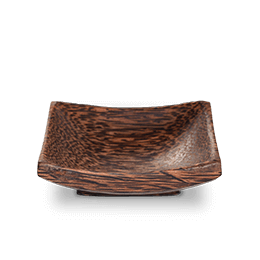 The colour and pattern of the wood are different in every grinder. That's what makes our grinders so unique! 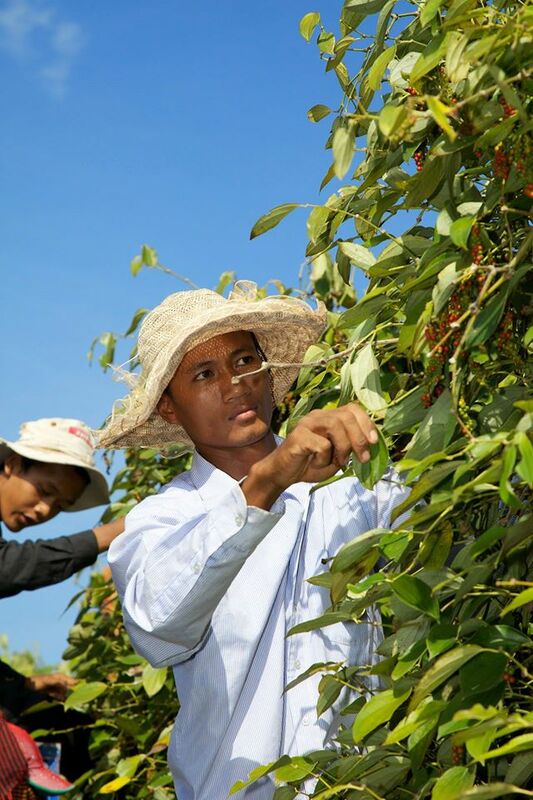 Project Pepper's profit is reinvested in Cambodia. We support projects that help provide clean drinking water and education in rural Cambodia. For more information go to www.stichtingapsara.nl. This school received a Biosand water filter. Clean drinking water is essential but many people in Cambodia lack access. 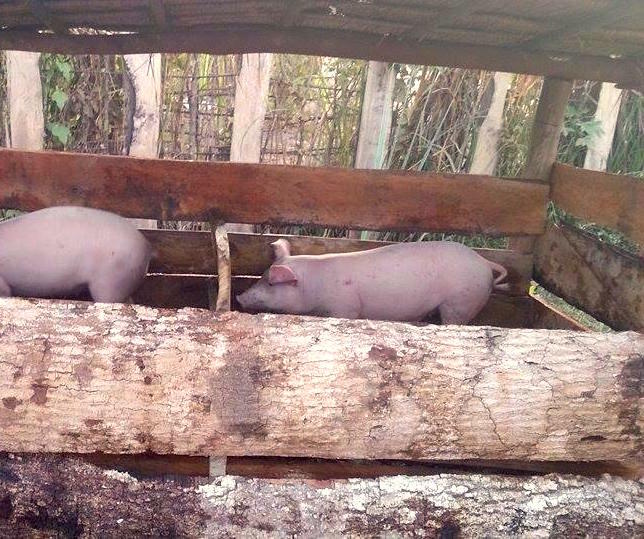 Thanks to Project Pepper two families can start a small pig farm. 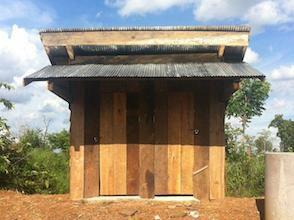 This school in the countryside of Cambodia received a toilet and a washing basin to improve hygiene. 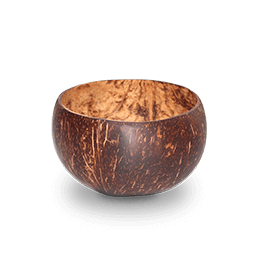 All products are made by hand and from natural materials. That is why no product is exactly the same. Colour, texture and shape can vary a little. But that's what makes Project Pepper's products so special! Hand made using a traditional Cambodian method in a workshop where disadvantaged people receive a free training. 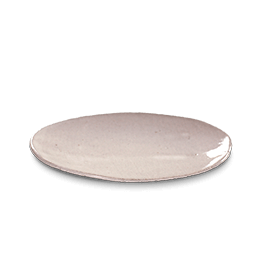 The materials and colours that are used are 100% natural, like clay and rice skins. Dishwasher safe. 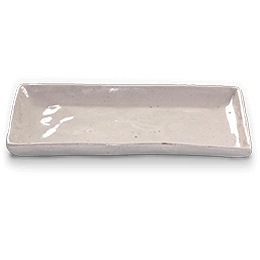 17cm x 9cm x 1.5cm Finish:. Gray / white with natural look because of little rough details. 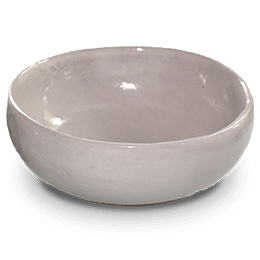 Unglazed bottom. With lotus motif. 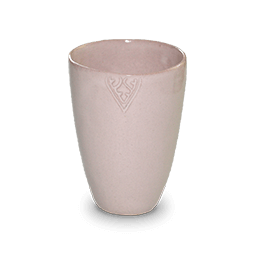 Diameter 7cm, height 10cm, contents 200ml. Finish: gray / white with natural look. Bought from a family in Siem Reap province. 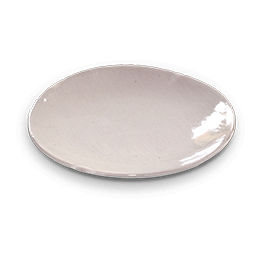 All items are hand made and finished with a natural oil (no chemical lacquer). Not dishwasher safe. You haven't placed an order yet. Choose one or more products from the list above. Terms and Conditions and the privacy statement. Within a few hours after placing the order you will receive a confirmation email with instructions. Currently payment is only possible by bank transfer. The products are shipped including track & trace. Shipping to an address within The Netherlands costs € 3.95 and is free for orders above € 65,-. It is also possible to order if you live outside of The Netherlands. Shipping prices for a few European countries can be seen by using the dropdown on the left. For orders above € 65,- you will receive a discount on the standard shipping price. Please feel free to ask for shipping prices to any other country. It is also possible to pick up the order in Enschede or Geldermalsen (The Netherlands). Please send us an email to make an appointment. Everything is done by hand using traditional methods. Green Kampot pepper on the bush. Making white Kampot pepper. The berries are soaked in hot water. 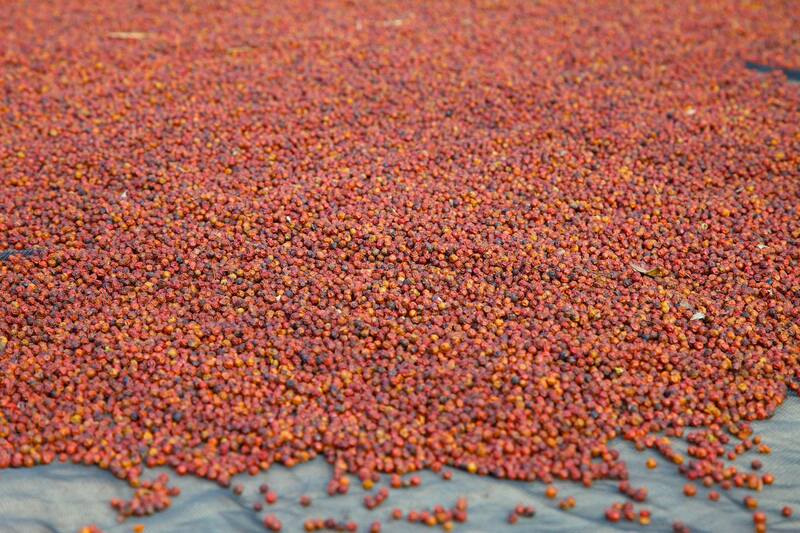 Red Kampot pepper drying in the sun. The farmers do not use chemical pesticides. We always pay a fair price to the producer and the producer pays a fair wage to the employees. 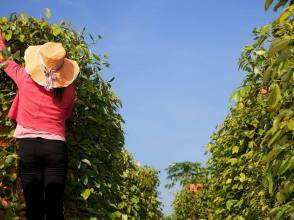 We buy directly from the producer and therefore have maximum influence on the price the producer receives. We choose to work with relatively small entrepreneurs without much bargaining power, who often struggle to make a living, especially if buyers don't pay a fair price. That's how we fight for a stable income for our producers. For example the producer of our pepper grinders is a cooperation that is run by people with a (physical) disability. The disabled often have a difficult position in Cambodia because of discrimination by employers and because there is no financial support from the government. This cooperation provides a free training and they can work in the cooperation and receive a fair wage. The employees run the cooperation together and share the profit. There is no child labour involved. 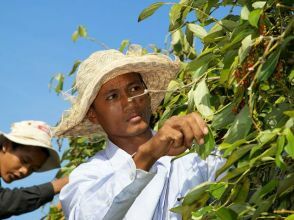 For example, we buy our Kampot pepper from a farmer that provides education for the children of the workers so they can go to school when their parents are working. After school they receive free homework assistance at the plantation. The working conditions have to be safe. 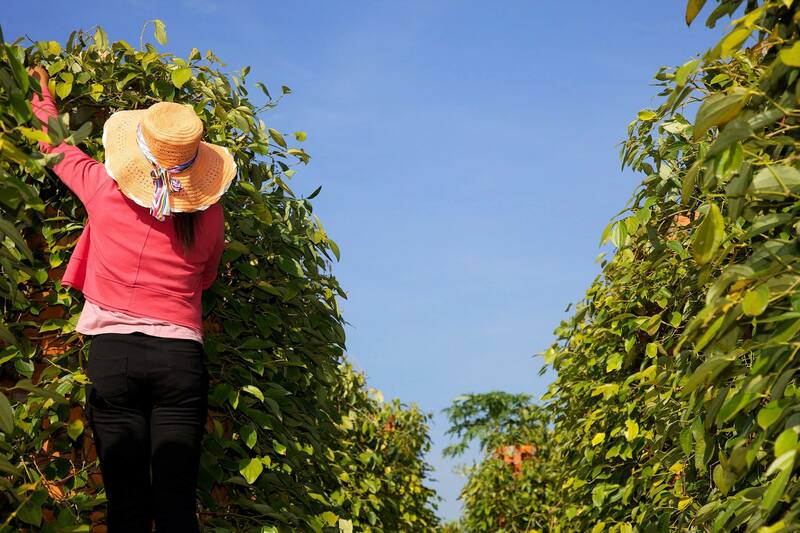 We only buy products that are produced without chemical fertilisers, pesticides, chemical lacquers or other substances that can be harmful for the health of the workers. It is also important that workers get enough rest and don't have to work when they are ill (and don't have to be afraid to be fired if they can't work because they are ill). Even though it is not common in Cambodia most of the time the employees get paid during the time they are ill and are helped to cover any medical expenses, like hospital visits. Why do you not have a fair trade or organic label? Why did I find plastic filling in the box. That is not environmentally friendly, is it? You are right! But we have a good reason for this. We rather don't use any plastic. 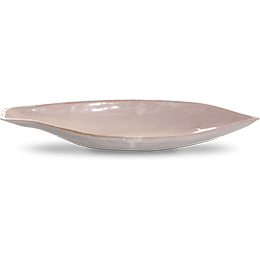 But sometimes you can find non-biodegradable filling or padding, like plastic, in the box. If this is the case, these are materials that we received in mail order packages and reused. Reusing is more environmentally friendly than discarding it! When we buy new filling or padding we will always make sure it is biodegradable and natural, like kraft paper, packaging board or unbleached tissue paper. 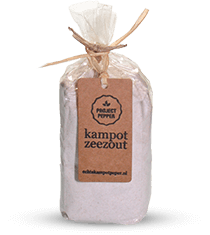 Of course we make sure that plastic filling does not come into contact with our Kampot pepper and Kampot sea salt. These are packed in bioplastic. The tape we use to seal the boxes is made of paper and a natural rubber based glue. It can be recycled like normal paper. Is red Kampot pepper the same as the red pepper in the four season pepper mix from the supermarket? No, these are not the same. 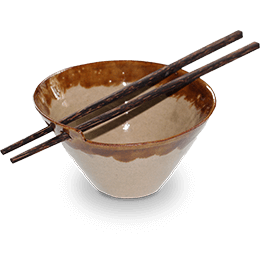 In some European countries it is common to use 'four season pepper': a mix of four colours of pepper. But the red pepper in this four season pepper mix is not real pepper, but a berry that is native to South-America. This berry grows on a scrub and is family of the cashew and pistachio tree. The vibrant red/pink colour makes this berry very suitable for decoration. Red Kampot pepper on the other hand is real pepper. The taste is spicy, floral and even a bit sweet. 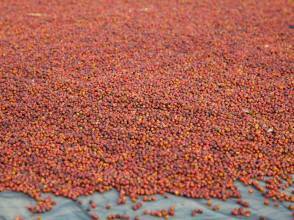 Red Kampot pepper is made by drying ripe (red) pepper berries. It is easy to recognise the 'fake' red pepper by it's vibrant colour and smoother skin. Red Kampot pepper is more red/orange/brown in colour and has a wrinkled skin. If you are in doubt it is best to have a taste. Red Kampot pepper is much more spicy and aromatic. What is the best way to grind Kampot pepper? 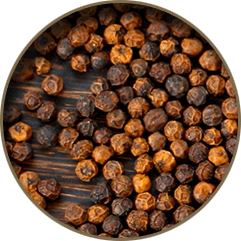 Kampot pepper can be fully appreciated if it is ground in a good quality pepper grinder or ground with a pestle and mortar. 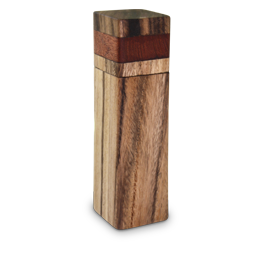 If you store the pepper in a mill it is important that the pepper mill is not made of a transparent material or that is it stored in a dark cupboard for example. Frequent exposure to light is not good for the quality of the pepper. It is best to use a pepper grinder that has a grinding mechanism on the bottom. Some types of mills have to be turned upside down to be able to grind. After use the mill is turned back to it's original position. After a while you are left with a lot of partly ground grains inside the mill. 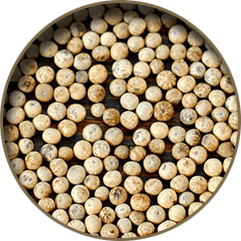 These grains quickly loose their flavour and aroma. 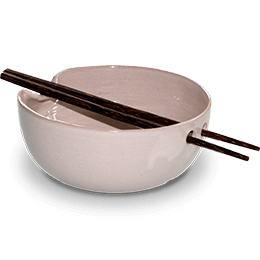 A pestle and mortar is very suitable to grind exactly the right amount of pepper. A course grind gives a more intense flavour. How does buying these products help Cambodia? Of course we pay an honest price to the producers for the Kampot pepper, pepper grinders, ceramics, etc. But also we make sure that a big part of the profit stays in Cambodia, because we think that fair trade is a strong weapon in the battle against poverty. That's why we also cooperate with small Cambodian entrepreneurs as much as possible, for example for transportation and arranging any necessary documents. All profit goes back to Cambodia through Stichting Apsara (www.stichtingapsara.nl). 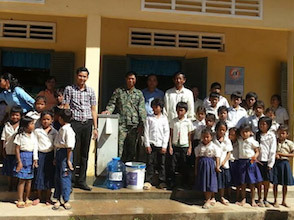 We support for example sanitation and education projects in rural Cambodia. What is the best way to store Kampot pepper? It's best to store the Kampot pepper in a dark place at room temperature. Store it in a closed bag or a jar with a lid, to keep the aroma. Why do you not sell ground Kampot pepper? 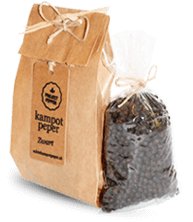 Once the Kampot pepper is ground, the aroma and spiciness fade within a few hours. A pepper of this quality deserves to be ground fresh! What is the best way to recycle the packaging? The inner bag is made of bioplastic and is biodegradable. 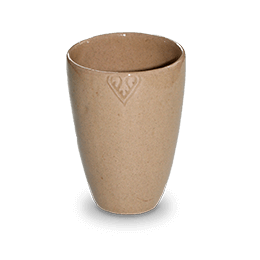 The kraft paper bag can be discarded like normal paper. Please check the regulations in your country for recycling biodegradable (organic) and paper waste. 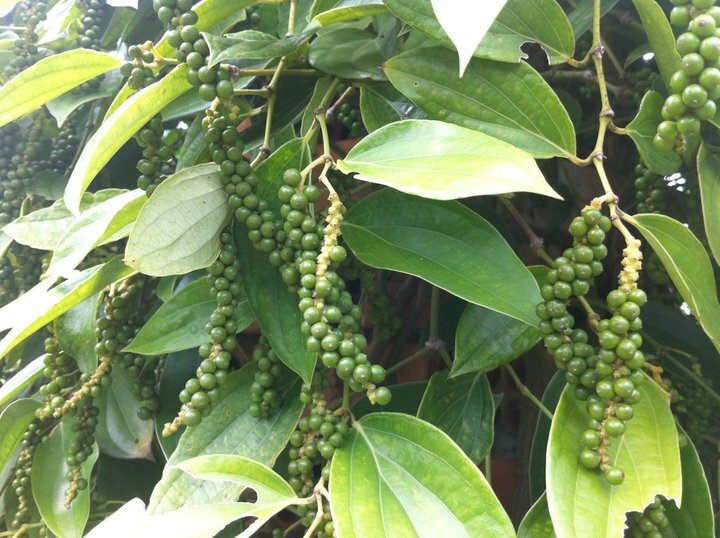 Why is this Kampot pepper so special? Kampot pepper has a unique spicy flavour and is therefore regarded as one of the best peppers in the world. This is due to the climate and unique characteristics of the soil. Also buying this pepper helps provide a good life for the producers. The profit goes to charity to help poor people that live in remote areas.